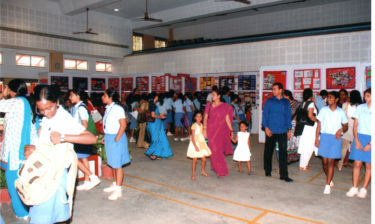 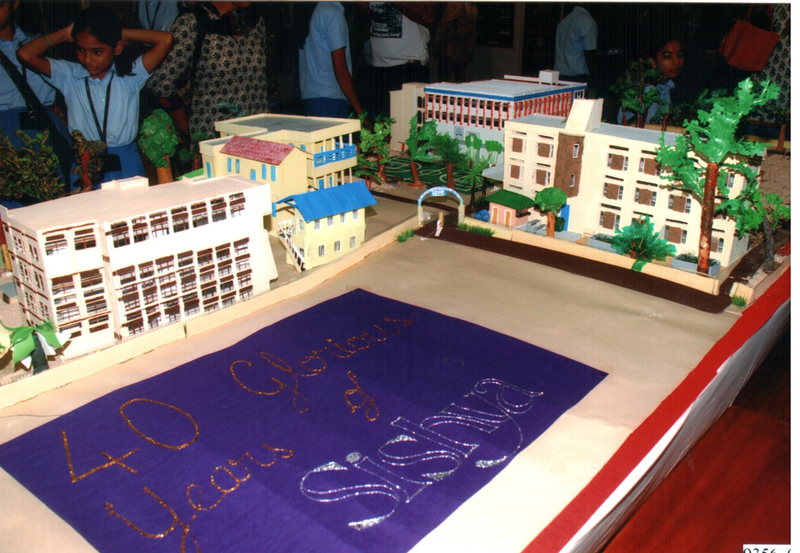 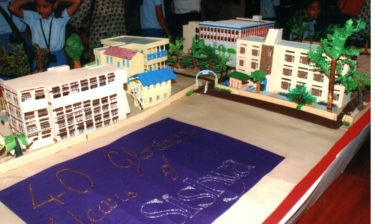 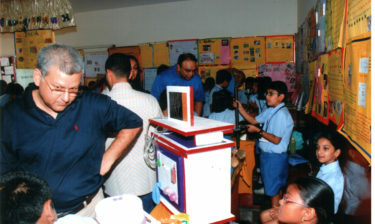 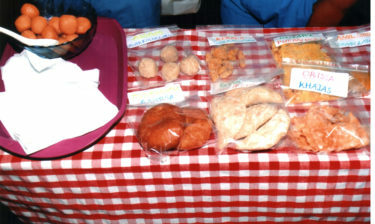 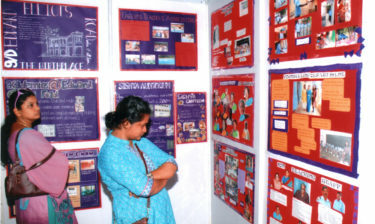 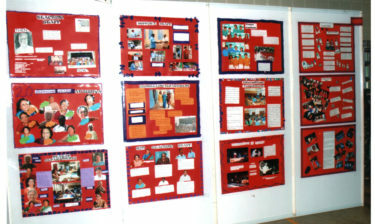 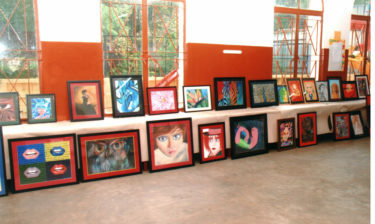 Since this was the 40th Anniversary of the School, it was decided to take Sishya as the topic for the school exhibition. 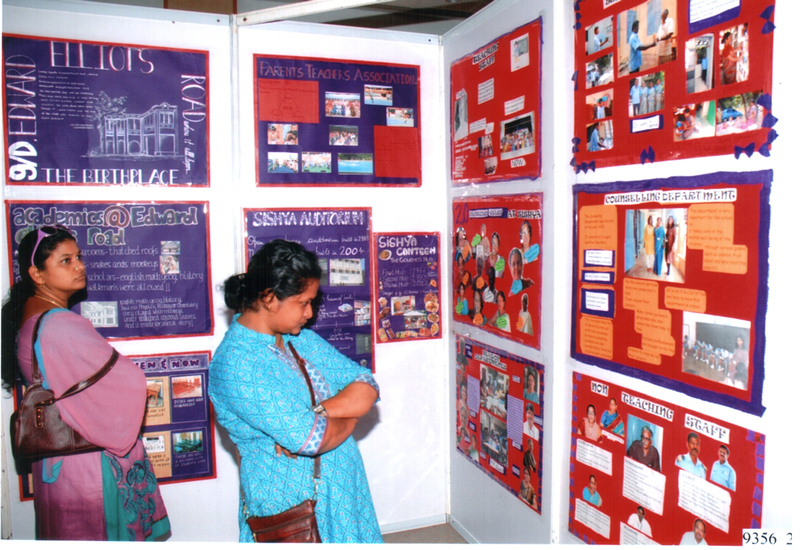 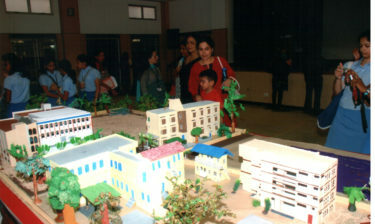 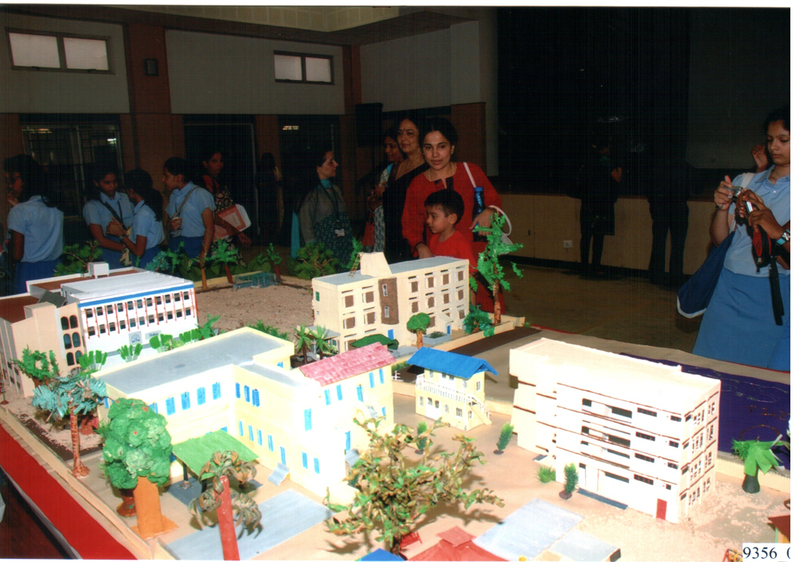 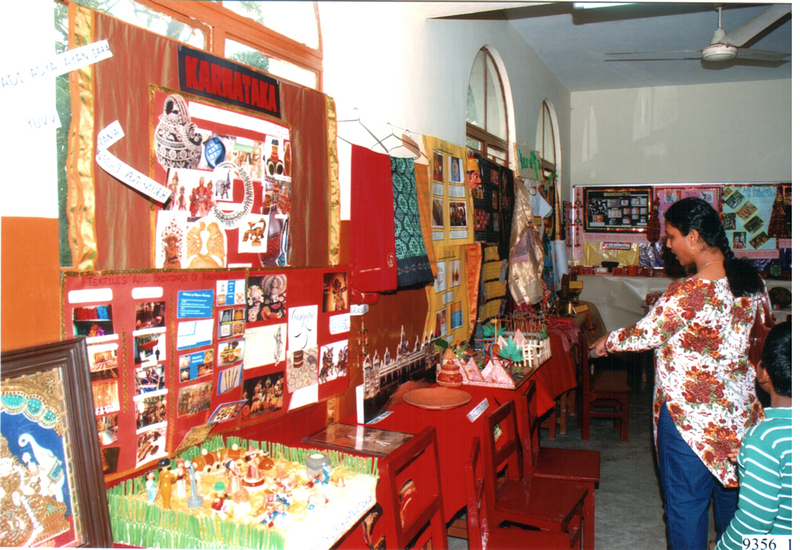 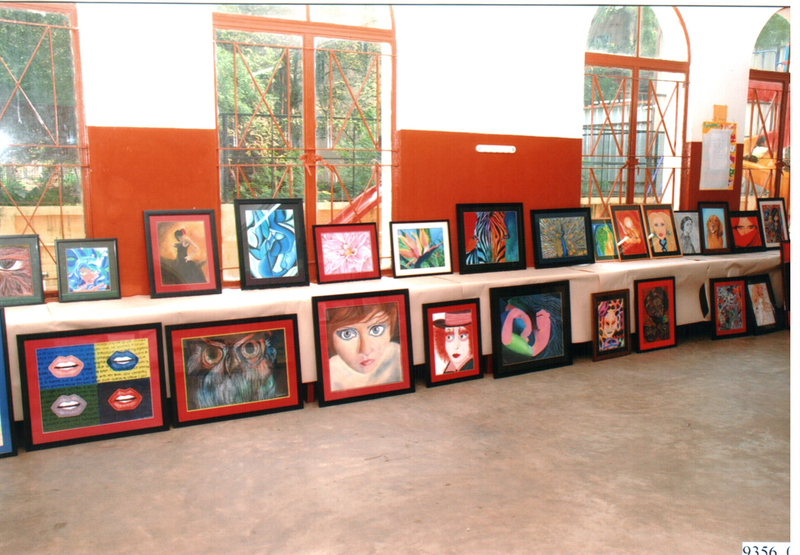 The exhibits were to consist of one large model of the school and several charts grouped under various heads. 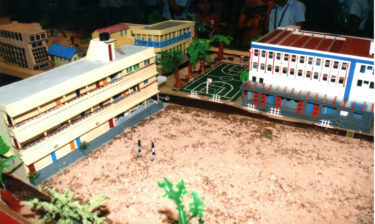 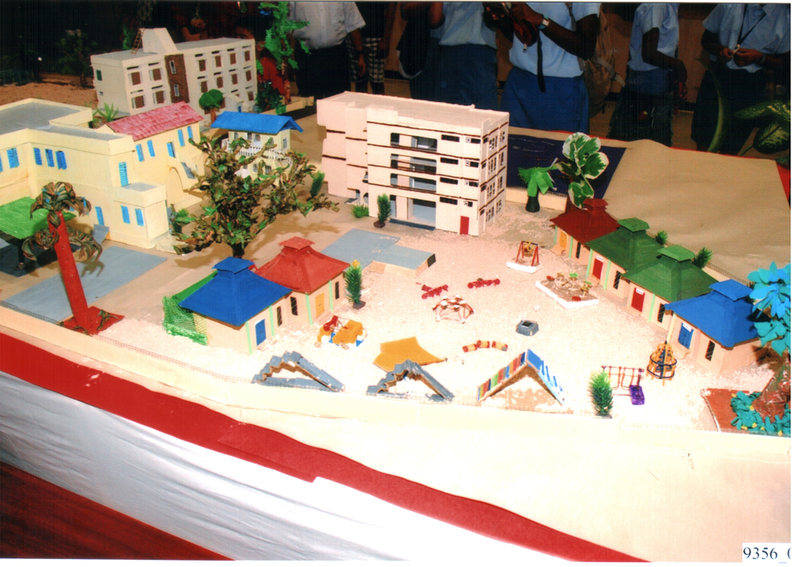 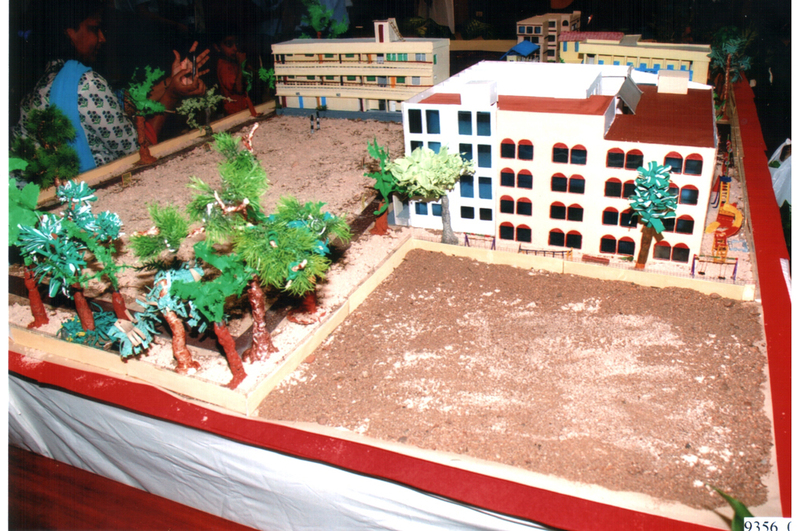 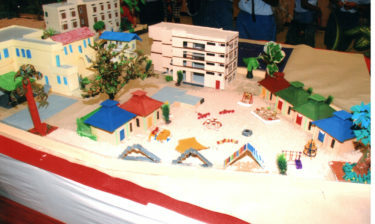 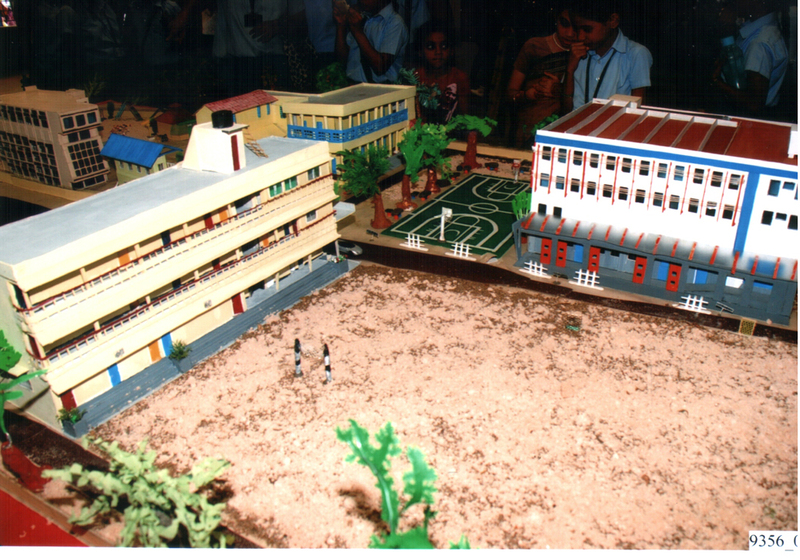 The model itself was made by Classes 6-11, each class being assigned a certain aspect or building. 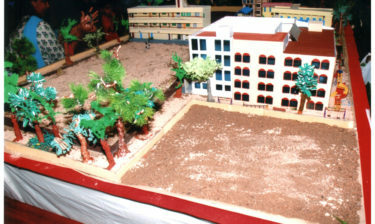 Class 6 did the Grounds, including all the courts, field, compound wall and greenery. 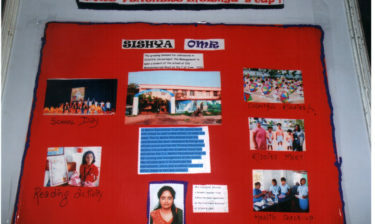 Class 7 did the Nursery Block; Class 8, the Principal’s block, Class 9 did the auditorium; Class 10 the Office Building and French School and Class 11 did the Library Block. 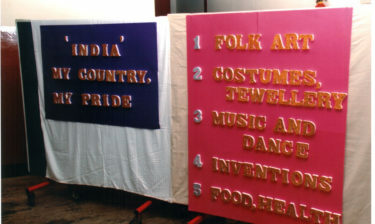 The Charts covered the following topics. 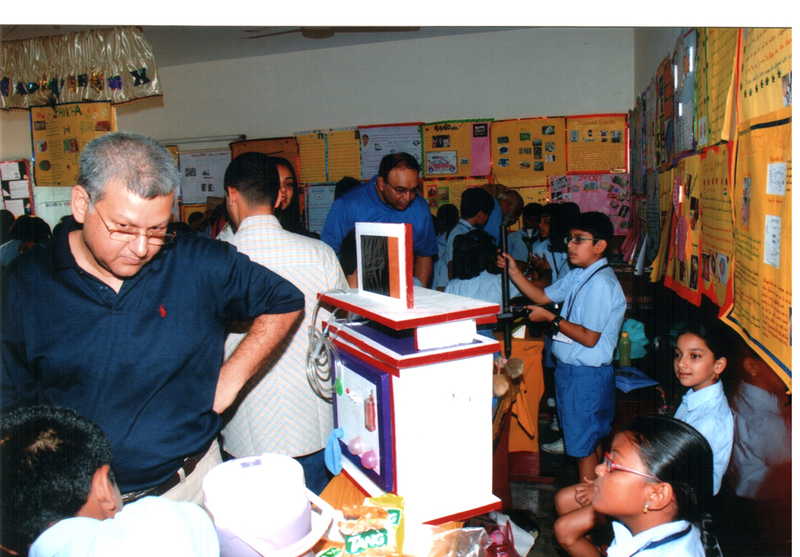 Class 6 – Staff, French School, Sishya OMR, Colleges attended by our students, House system, Anniversary year. 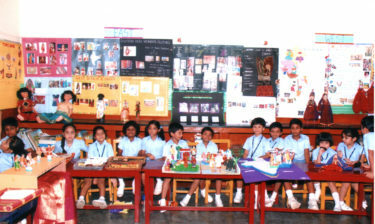 Class 7 – PTA and all programmed conducted by them. 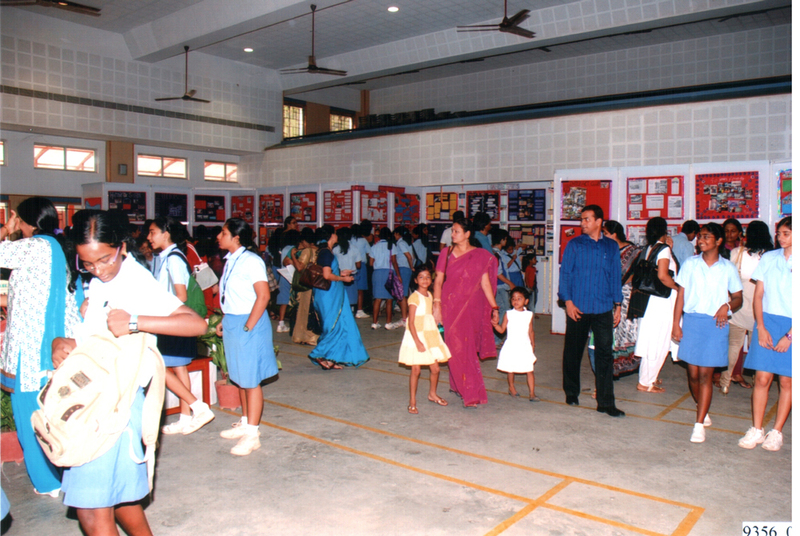 Class 8 – Extra Curricular and Cultural Activities, School farewells and Socials. 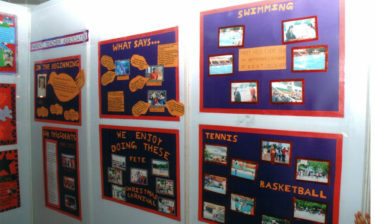 Class 9 – Sports and Games. 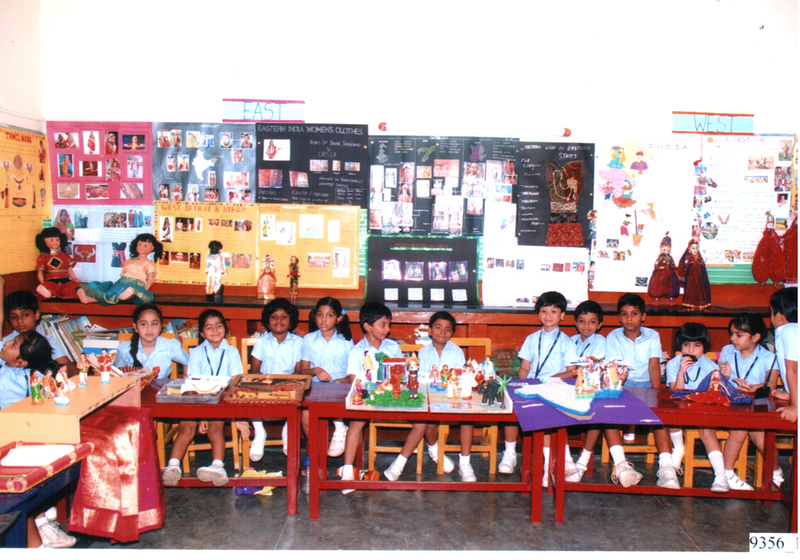 Class 10 – Elections, Investiture, KIT Thomas Oration, School Days, Christmas Programme. 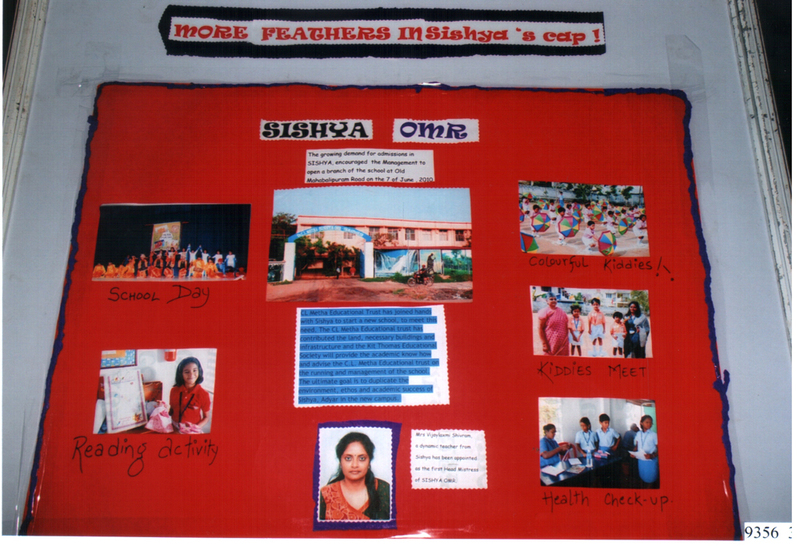 Class 11 – History and Evolution of Sishya. 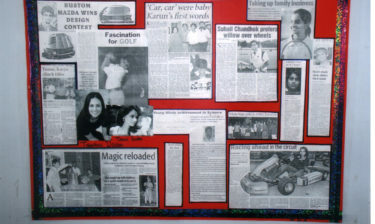 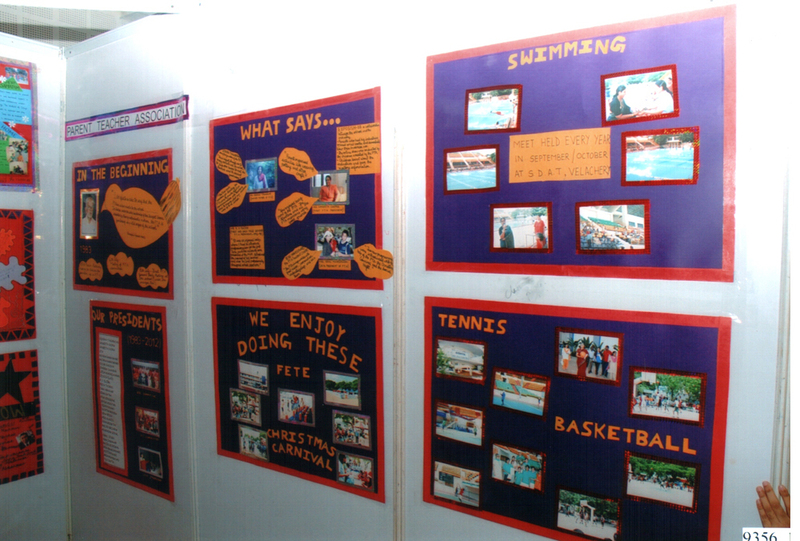 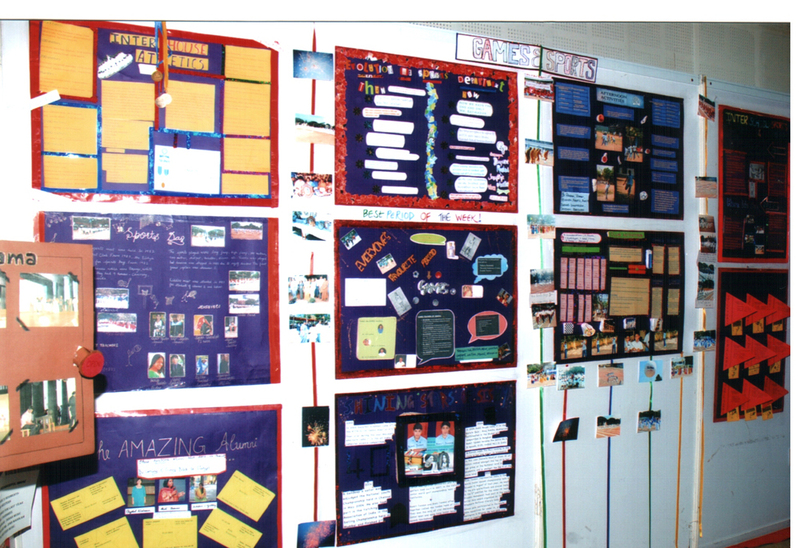 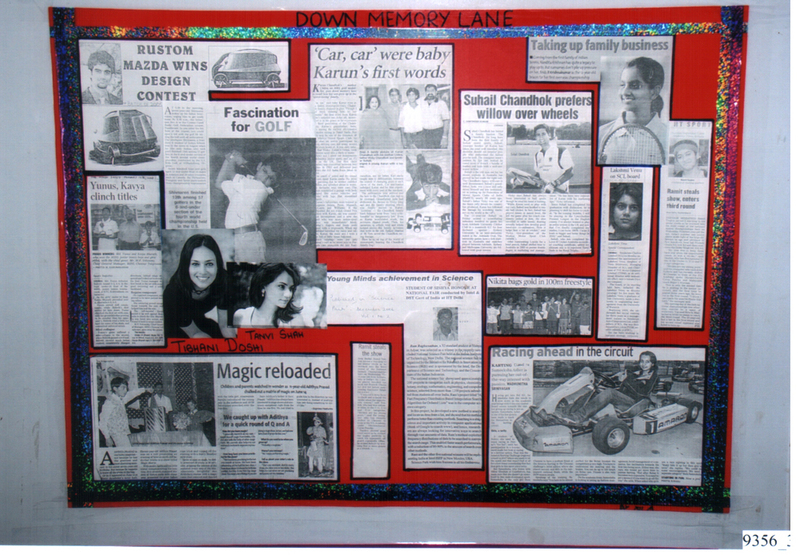 Class 12 – SUPW, Interact Club, Excursions, School Magazine, NEWSISH, Website and Alumini and their achievements. 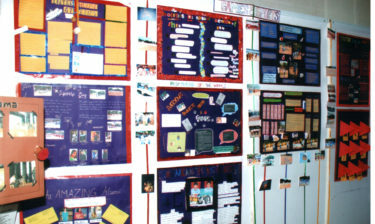 There were altogether about 70 charts alternating in colours purple and red. 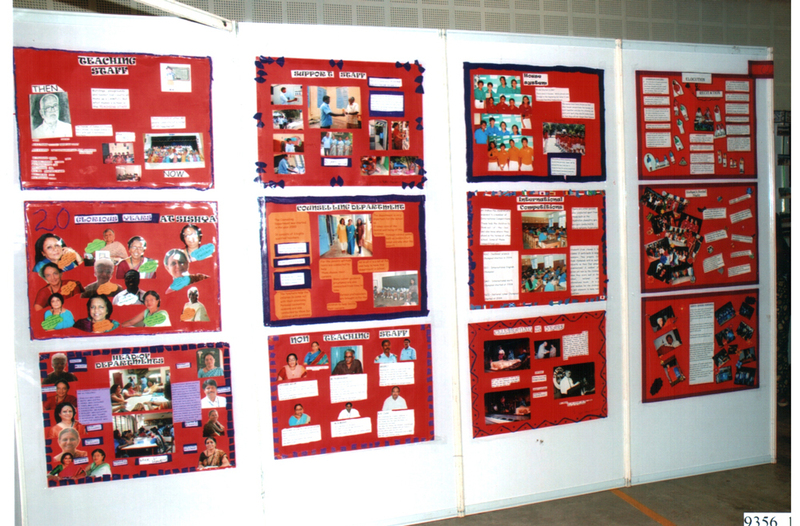 This time display panels were hired to display the charts and the result was a neat and well-presented exhibition. 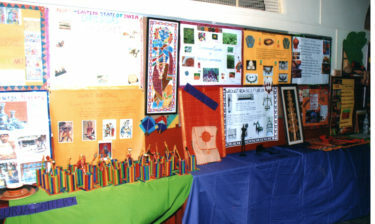 The charts were colourful, full of pictures and yielded a wealth of information. 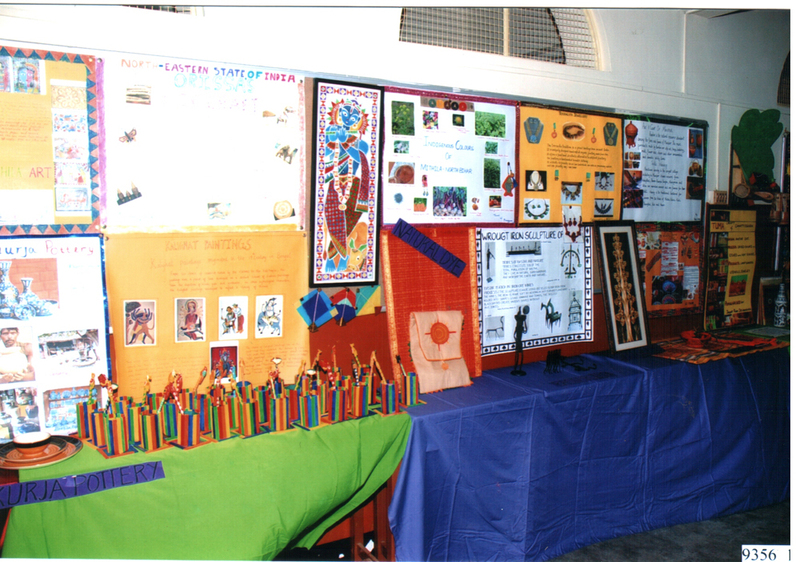 The topic chosen by the Junior School this year was India, My India. 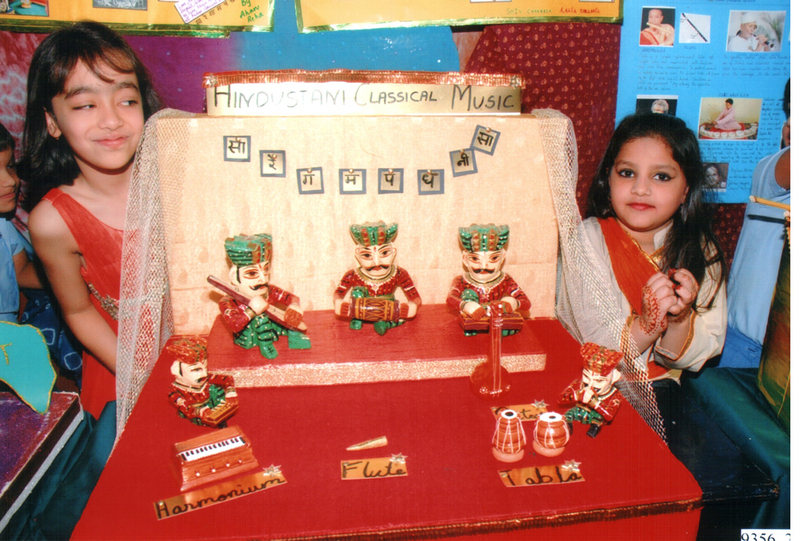 Each class, with the exception of UKG, took up a particular aspect of India and made models, charts and displays on that topic. 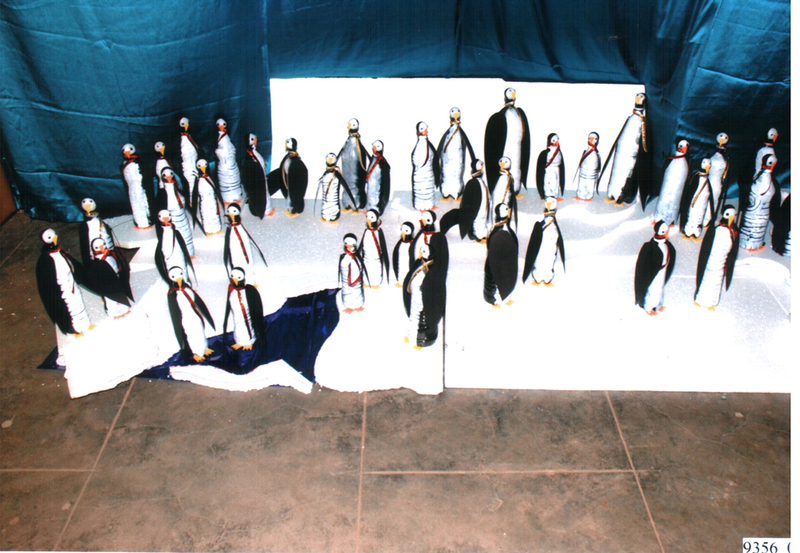 The little alchemists of UKG turned trash into beautiful objects of craft making penguins from old plastic bottles, yummy bubble wrap corn and lush button trees. 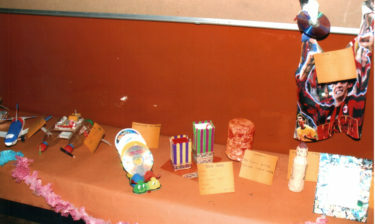 On the whole it was a great way to get young children to be aware of re-cycling and re-using. 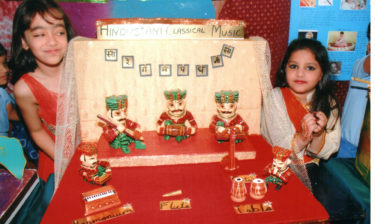 We always hear about the rich and varied culture of India. 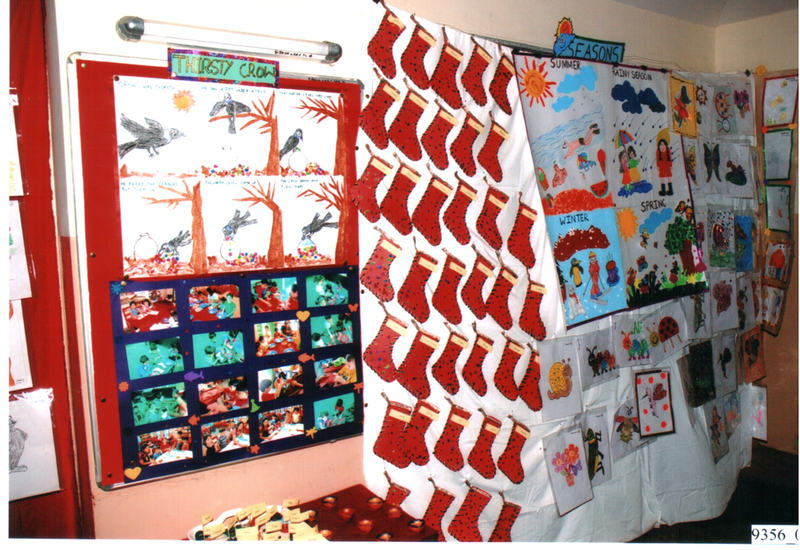 It was an eye-opener to see the colourful, vibrant and detailed display of Class 1. 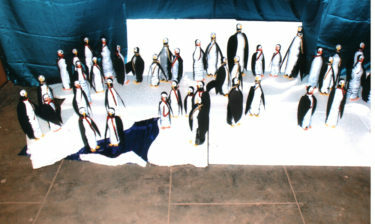 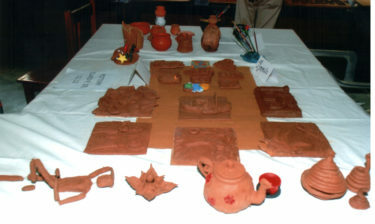 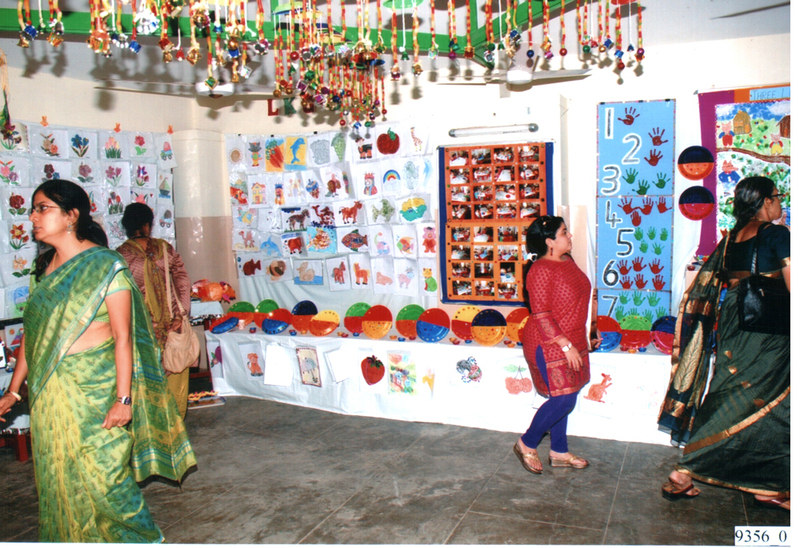 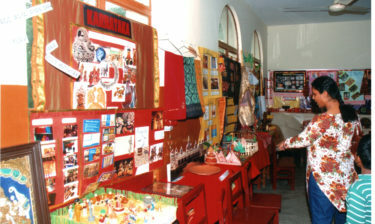 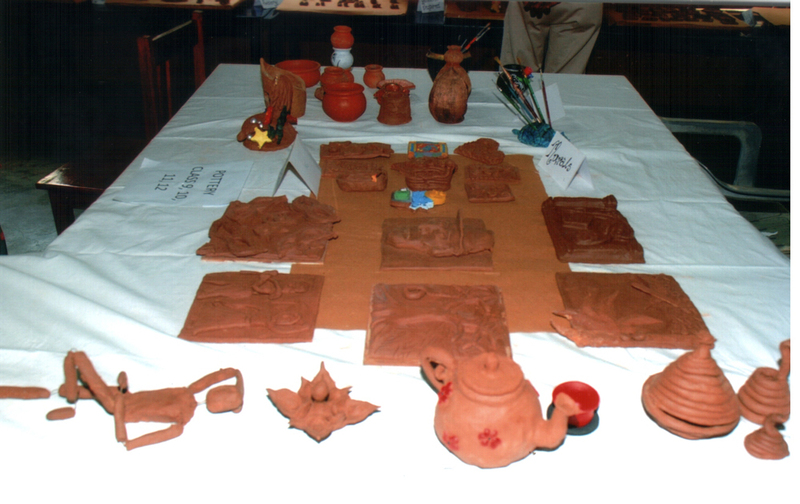 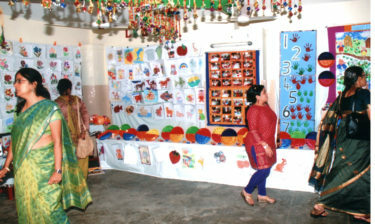 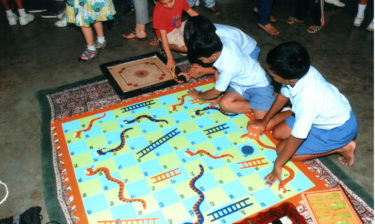 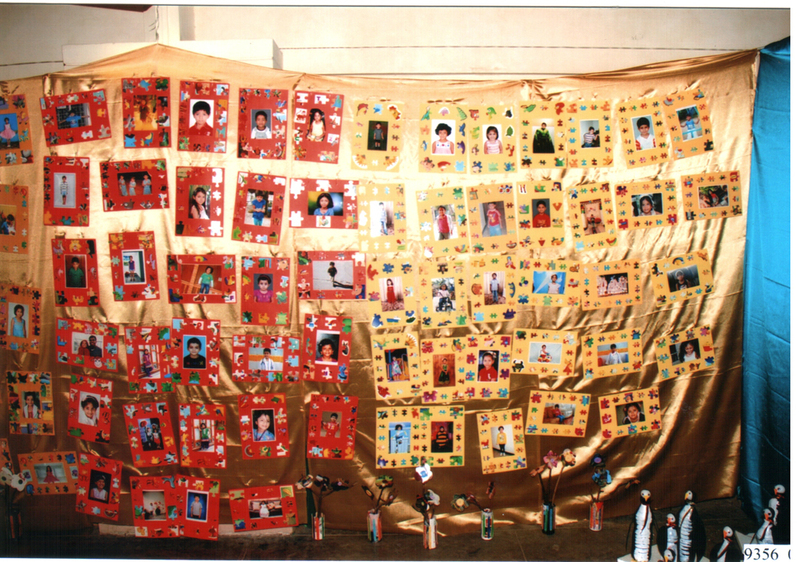 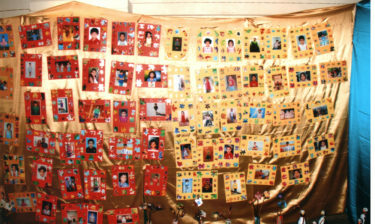 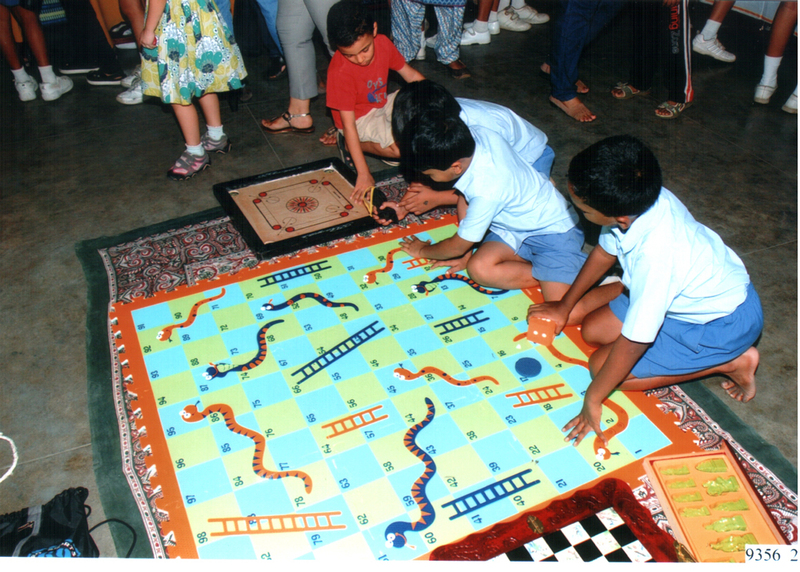 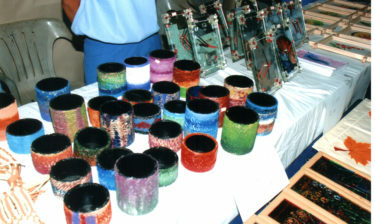 The unique and different crafts made by the children showed their exposure to the different folk art forms of India. 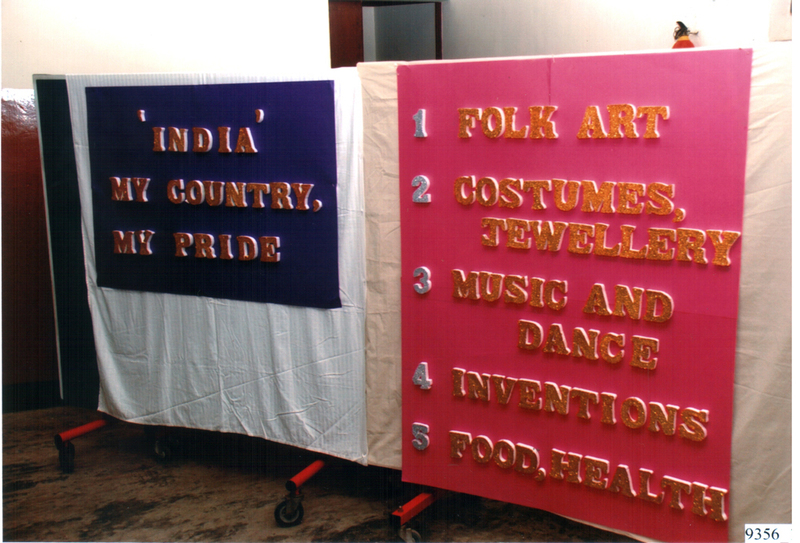 It was refreshing to see and hear the children of Class 2 explain the traditional dresses of all the states. 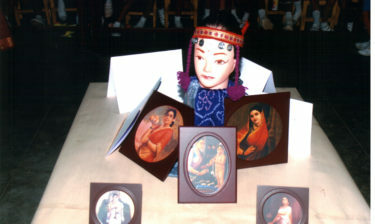 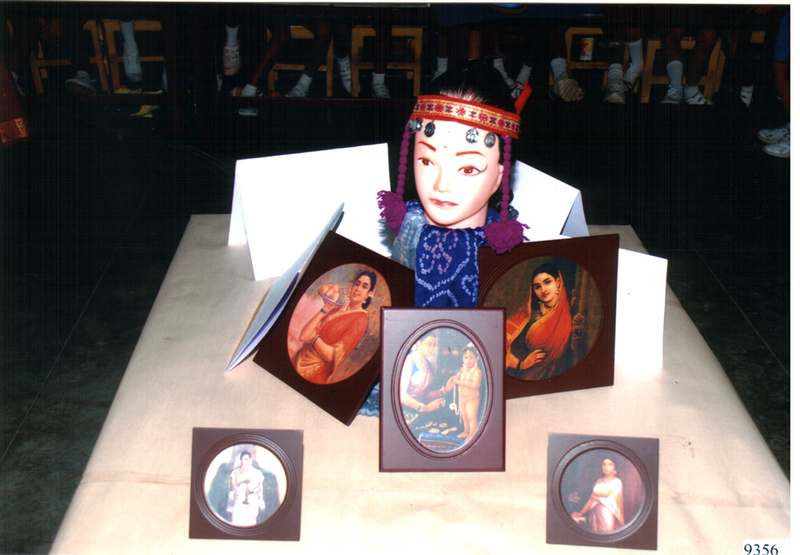 Interesting photographs and model dolls were displayed. 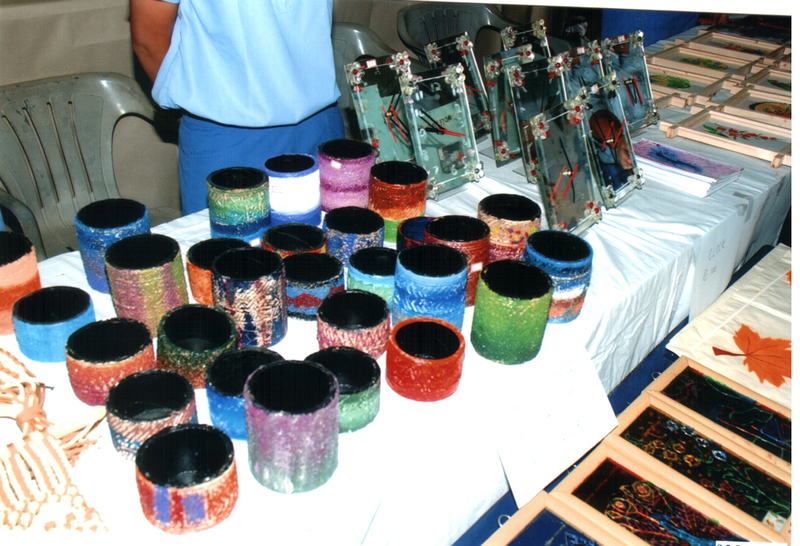 The varied collection of jewellery from different regions was really mind boggling. 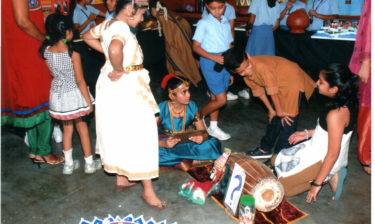 The students and parents of Class 3 came and dipped into the ocean of music and dance to enrich their knowledge. 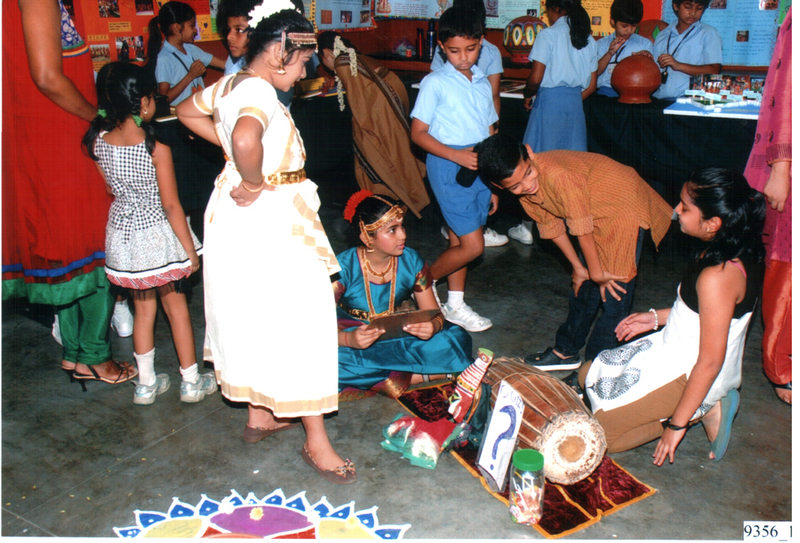 The children showcased their talents in the form of dance and music flavoured with a variety of folk and classical items with the topping of an instrumental recital. 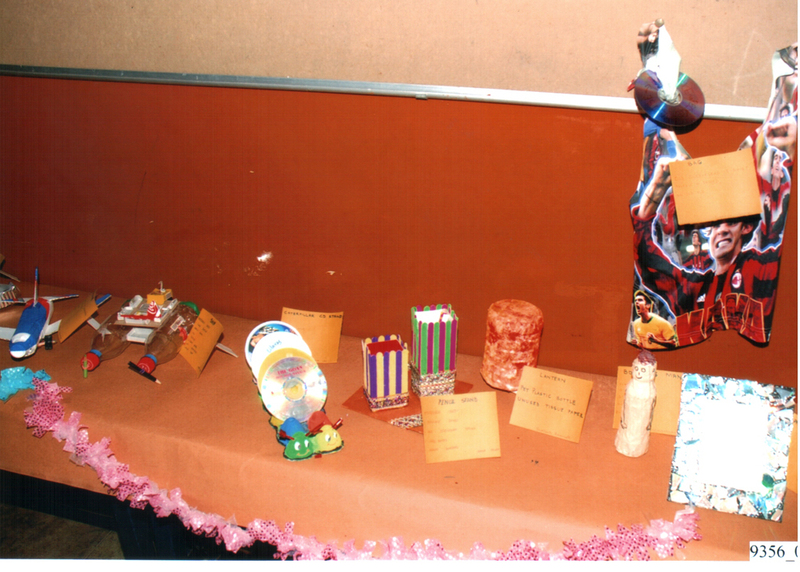 Class 4’s topic was Indian Inventions. 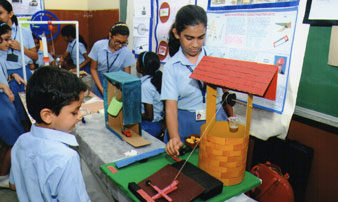 They displayed India’s contribution in the field of Maths, Science, Medicine and Information Technology with the help of informative charts and models. 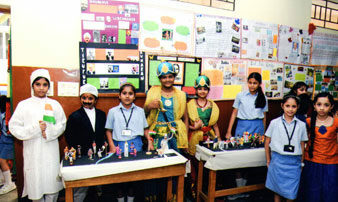 They also presented interesting facts about Indian scientists and inventors. 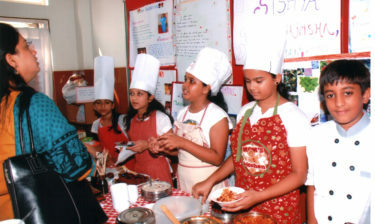 Class 5 took us on a culinary journey of India. 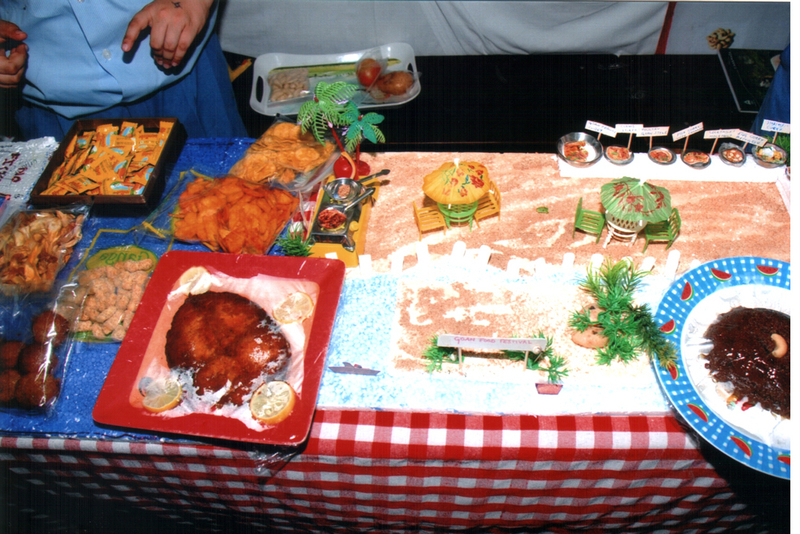 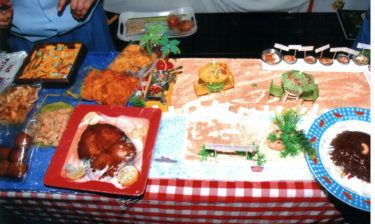 They had put up colourful charts and delicious looking models depicting the food generally eaten in various parts of the country and on special occasions and festivals. 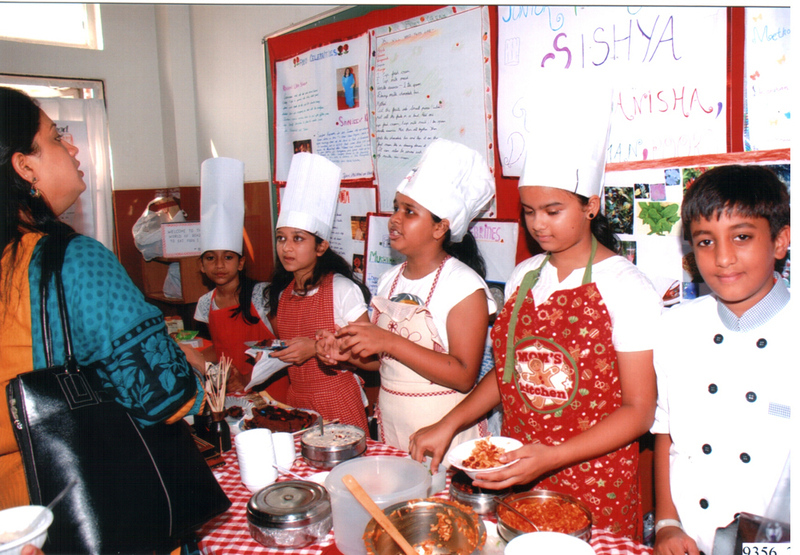 They also had a section called Master Chef Sishya where a few enthusiastic master chefs displayed their original creations. 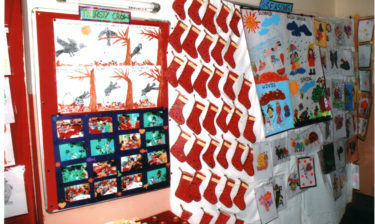 All in all it was an amazing effort by all the children.